The recent decision of the German government to stop atomic energy production has intensified the debate between energy production and energy consumption. Extension of the use of renewable energies that shall contribute to at least 60 % of the gross energy consumption. 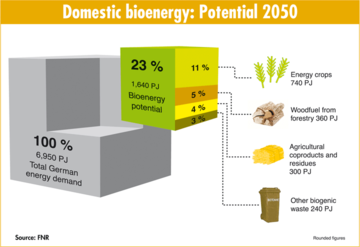 According to the Fachagentur Nachwachsende Rohstoffe (FNR), biomass shall contribute to at least 23 % of the entire energy supply that shall cover the demands for heat, electricity and fuel. On the 24th and 25th of February 2016, the kick-off meeting for the European cluster excellence project NATUREEF took place.